These Terms and Conditions apply to all purchases from our website and any orders placed by phone or email . Please read them carefully before placing an order. The website is owned wholly by Handles And Ironmongery Ltd. whose main office is situated at 6A The Green , Attleborough , Nuneaton, CV11 4FJ. Please note that your beam should settle for at least two weeks prior to fitting so it can settle.Failure to do this may result in your beam releasing its remaining moisture rapidly if you fit it over the burner or fireplace and expose the oak to high temperatures straight away. Credit accounts can be opened on receipt of satisfactory bank and trade references and by completing the Company’s credit application form. The Company may invoice the Customer for the Goods on or at any time after the completion of delivery. Subject to the following provisions of this Condition all Goods supplied by the Company shall be paid for by the Customer, in full and cleared funds within 30 days of the date of the relevant invoice. Payment shall be made to the bank account nominated in writing by the Company. Time of payment is of the essence. If full payment of the tax inclusive purchase price is not made within 30 days of the date of the relevant invoice the Customer shall pay the Company interest on the sum outstanding under the invoice at the rate of 8% per annum above the base rate of Barclays Bank Plc in force at date of issue by the company of the relevant invoices such interest being calculated by reference to the entire period from the date of issue of the relevant invoice to the date of actual payment such interest accruing daily. Where Goods are delivered by installments the Company may invoice each installment separately and the Customer shall pay such invoice in accordance with these conditions. No disputes arising under the Contract nor delays beyond the reasonable control of the Company shall interfere with prompt payments in full by the Customer.  Express shipping is available on all purchases but remote area’s such as Highlands – Islands – Channel Islands -Scilly Isles -Isle of White – Isle Of Man – Northern Ireland and any postcode which is stated as a remote area by Parcelforce this price does not apply.Please call the office for these areas. We must receive payment of the price of the products and the delivery charges before we can accept your order. We reserve the right to restrict the number of products you may order and to refuse any order. Once the payment has been received order cancellation will result in a 10% cancellation charge. If you have provided us with your email address you will receive an email from us confirming that we have received your order. This email is sent automatically and does not mean that we have accepted your order. We will notify acceptance of your order by sending an email to you stating that your order has been accepted and dispatched. Otherwise, our acceptance of your order takes place upon delivery of the products. Only when we have accepted your order is a binding contract created between us. On receipt of delivery from BespOakMantels or any of our Trading Partners you must check each individual package for any signs of damage. We endeavor to dispatch goods to you in perfect condition. However occasionally goods can be damaged in transit and we are keen to rectify any problem as quickly as possible. If any of your parcels are damaged in any way and you are not happy with the condition of your delivery please sign the couriers forms as ‘Damaged on arrival’ and refuse to accept said parcel/parcels. The items will be returned to the sender where they will be checked for damage and a replacement item will be sent out at the next available time. If the delivery note is signed without the comment ‘Damaged on arrival’ the seller and or courier cannot be held responsible for damage caused during transit and no claim can be made. All requests for returns must be made in writing (by post to the address below or by email HERE) and a returns number will be allocated to the Buyer. Goods must be returned within 10 working days of receipt. The customer will be charged a 25% restocking charge and the goods are returned at the customers own expense. The goods must be in a re-saleable condition and must be authorized by us. If packing is not complete no credit will be given. You must provide us with the original invoice, dispatch note or other proof of purchase. We will not accept items back after 2 months from date of purchase under any circumstances. On cancellation of your order, for whatever reason, the Buyer must return the goods to the Seller at the Buyer’s cost. Where the goods are deemed to be faulty, incorrect delivery or because of unsuitable substitution by the Seller, the Seller will meet the costs of return and the Seller can nominate its own carrier. All requests for returns must be made in writing (by post to the address below or by email to info@bespoakmantles.com) and a returns number will be allocated to the Buyer. Goods must be returned within 10 working days of receipt. Please note, following receipt and inspection, if the products are deemed ‘not suitable’ for your purpose the Buyer is under a legal duty not to use the products and to take care of them. The goods must be returned to the Seller in the condition they were received with the original undamaged packaging and paperwork. The Seller will refund the full amount of the order, including delivery costs, as soon as possible after receiving a cancellation notice and within 30 days at the latest. When goods are returned to the Seller in a condition which indicates that they have been used or attempted to be installed after the Buyer has had a reasonable chance to inspect them, the Seller will consider the Buyer to be in breach of their legal duty to take reasonable care of the goods and reserves the right to recover appropriate sums from the Buyer. If all the above criteria are met by the Buyer during the 30 day period there would be no administration costs or restocking charges applied to the Buyer. All products are stocked to a high level. If products you order are not available we will notify you (where possible) and, if we have received the price and the delivery charges of the unavailable products, we will refund them to you within 30 days of your order unless you agree to a longer period. We are committed to protecting your privacy. We will only use the information we collect about you lawfully (in accordance with the Data Protection Act 1998). We collect information about you for two reasons: – to process your order – to provide you with the best possible service. The type of information we collect about you includes: – your name – your address – phone number – email – financial information (credit card type, number and expiry date). We will never collect sensitive information about you without your explicit consent. We use a payment Service Provider (Barclays) and credit card processing company (Barclays) to bill customers for goods and services and will be under the name of Handles and ironmongery Ltd on your statement. These companies do not retain, share, store or use personally identifiable information for any secondary purposes. The personal information that we hold will be held securely in accordance with our internal security policy and in compliance with British law. A cookie is required to track any shopping basket items. Once users close the browser, the cookie simply terminates, after which no information is held on the users computer relating to the order. If you have any questions/comments about privacy, you should contact us. We welcome people linking to our site. To link to us, please contact us at Bespoakmantels for our link code. Any advice given on this site is meant for guidance purposes only and purchasers must be responsible for determining whether such information or advice applies to their particular circumstances. The information and advice contained in this website should not be relied upon as statements or representations of facts. No warranty is given as to the accuracy of any information given. Handles And Ironmongery Ltd All rights, including copyright, trade marks, names and logos, used in relation to this website are owned by or controlled for these purposes by us. Nothing in this Agreement confers on you any license or right under any of our trade marks, names or logos or those of any third party. We reserve the right to issue legal proceedings against any companies or persons who copy any text, photographs, images, graphics, logos, button icons, trademarks or any part of this website. The content of this website is and remains the property of Handles And Ironmongery Ltd. If any of these Terms and Conditions are unenforceable it shall not affect the enforce-ability of the rest of these Terms and Conditions. We will deliver the products ordered or, at our option, credit the price and delivery charges of the non-delivered products to you, or if we have not accepted your order and have been unable to contact you, we will notify you of the reason for non-acceptance. Nothing in these Terms and Conditions shall be construed to exclude or limit any rights you may have as a consumer to the extent that such liability and rights may not be excluded or limited under applicable statute or law.